The Deltaprinter costs $475 unassembled and $685 assembled. 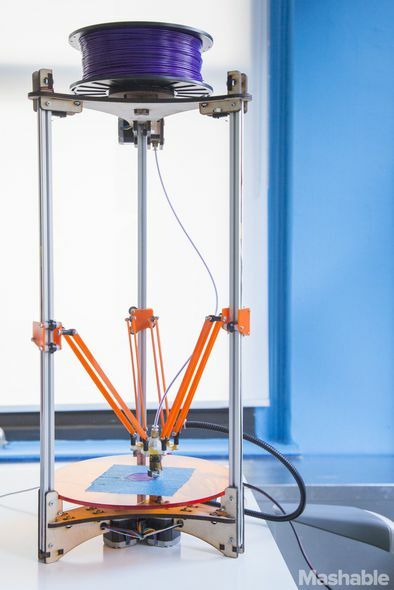 When college student Shai Schechter didn't have access to an affordable 3D printer on his SUNY Purchase campus in New York, he set out to build his own model — one that would still crank out 3D-printed objects, but at a much lower cost. He approached his sculpture professor about building a new 3D printer that uses plastic instead, and sought the help of three good friends. "We are targeting educational institutions first, so people can learn how to assemble them," Schecter said. "When you buy a MakerBot, and you read a manual about how to use it, you don't learn a lot about how the printer and technology works. This is why we are offering the assembly manual on Kickstarter, too — we want people to really get their hands on it." The Deltaprintr uses three stepper motors, located under the acrylic platform where the objects are printed. Motors control the carriages that move the hot end and ultimately create the 3D-printed objects. Since a Deltaprintr design doesn't rqeuire as many parts as other 3D printers, the savings are passed on to consumers. 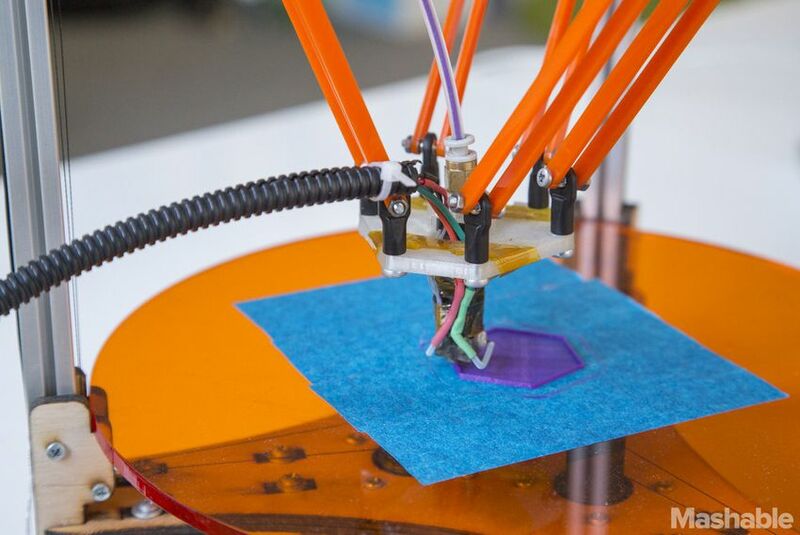 "MakerBot uses belts to move the print head, but ours uses a fishing line," Schechter said. "With the fishing line, you can expand it to make it taller if you want by changing the aluminum rods. It allows it to go faster than the MakerBot and is more accurate. 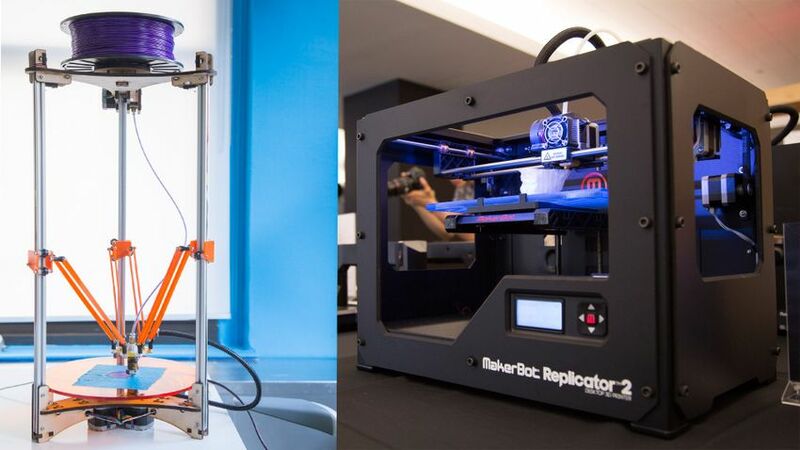 It allows it to go faster than the MakerBot and is more accurate." Although the Deltaprintr team is focusing on getting the product off the ground as an educational tool, it's eying the mass market, too. "We want it to have a place in education, but it's still for the everyday user," Schechter said. "We have a lot of ideas that we plan to execute in the next year to make the Deltaprintr even better and lower the cost even more."